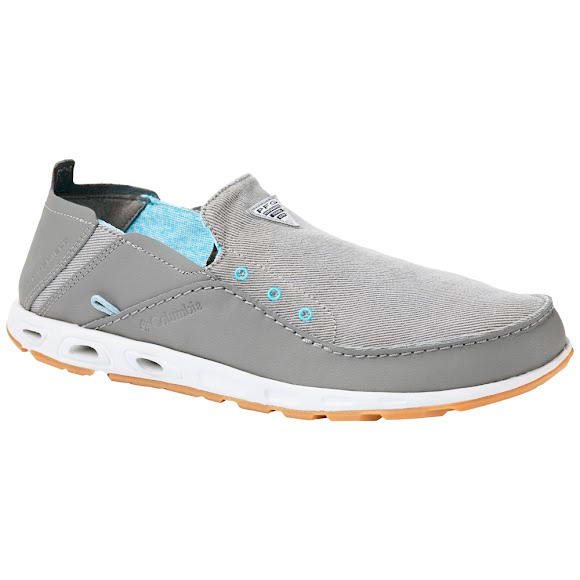 This Columbia shoe's combination canvas-and-leather uppers are treated with patented water and stain resistance. Sure-grip outsoles with razor siping displace water and hold fast on any surface. This Columbia shoe&apos;s combination canvas-and-leather uppers are treated with patented water and stain resistance. Sure-grip outsoles with razor siping displace water and hold fast on any surface. A water, odor and stain barrier that resists light rain and heavy gore, keeping you clean and protected.